Home extensions come in all sizes, they can be small projects, such as adding a room on the side of your garage, or large projects that involve adding an extra floor to your home that gives you more living space. While these are two different levels of projects, one thing that they have in common is planning on the type of roofing material to use. Ultimately, one of the main considerations and goals of any home extension, regardless of size, is not only to increase functionality, but to also upgrade the home’s market value. One of the best ways of upgrading home extension design and market value is by using Boral roofing tiles. For property owners that are in the planning stages of a home extension project, it is possible to upgrade the design by choosing to use Boral roofing tiles. There are many benefits of using Boral roofing tiles as a new roof for your home extension, and even when reroofing your home, which is what many home owners typically do when adding a home extension. In fact, the best way to increase the property value of your home is to install a new roof, and when compared to other roofing material, such as asphalt, wood shingles, and metal roofing sheets, Boral concrete and terracotta roofing tiles are superior in every way. 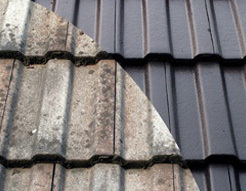 It is the quality of the roofing material that will ultimately increase the market value of your home. For example, real estate appraisals will raise the market value of a home drastically when there is newly installed quality concrete roof tiles. While it is not uncommon for property owners to choose the type of roofing based on suggestions from friends or family members, it is highly recommended to consult with a professional roofing company before making a final decision. Professional roofers can recommend the best roofing material to use that will actually increase your property value, based on the location of your home, the climate, your aesthetic preferences, and your budget. 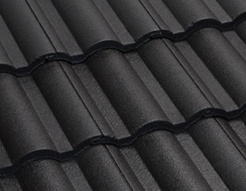 At Ajax Gregson Tiles, we strongly believe Boral roofing tiles are the best roofing material for any home extension project, and as an effective means to increase the market value of any home. 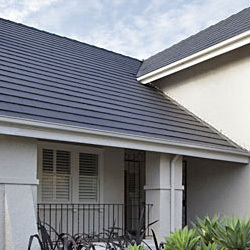 Boral roofing tiles are cost-effective, extremely durable and strong, and are available in various shapes, designs, and sizes, with a wide selection of colour choices. If you are ready to begin your search for a roofing specialist, start with AjaxGregson Tiles Bricks & Roofing. Call us now at 97298895 and we’ll be happy to give you our professional opinion.